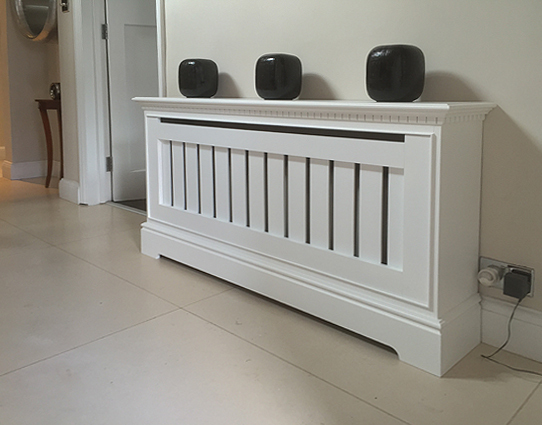 All of our Cambridge radiator covers are manufactured and finished ‘in-house’. Quality and attention to detail is evident from the photographs below. Our made to measure radiator covers are delivered and installed personally. The Cambridge radiator cover shown here in white with slatted grille. Supplied with removable grille panel. Choice of grille designs available in painted, wood, brass, silver etc. All of our radiator covers are custom made to measure in a range of finishes. 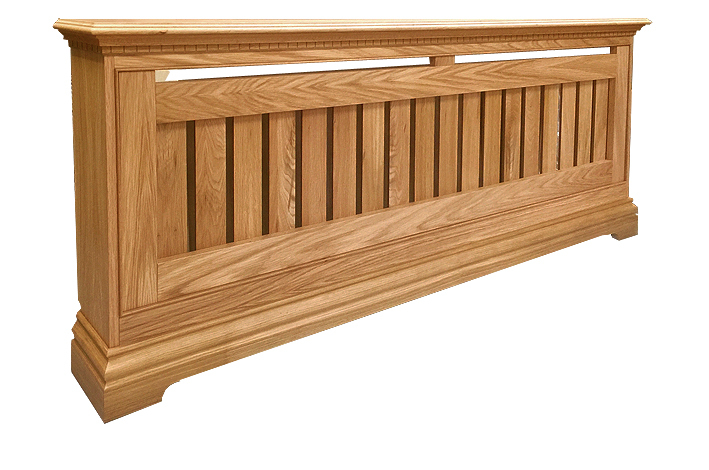 The Cambridge radiator cover shown here in oak with oak with slatted grille. Cambridge radiator cover with matching bookcase. Available with or without backs fitted. Doors are also available glazed or with grille panels.